You’re not alone, many of the women who face domestic abuse by the hands of the one who they trust more than anything feel suicidal sometimes. Feeling suicidal in such circumstances doesn’t mean you are coward or weak. It only means you are undergoing more pain than you can cope up with. This pain seems overwhelming with no end. Promise yourself you won’t do any such act – We know you are undergoing a lot of pain. Suicidal thoughts and committing suicidal are two different things. Give yourself some time. Promise yourself “I won’t do any such act. I’m strong and independent enough to live a cheerful life”. Remember thoughts and actions are two different things. Your suicidal thoughts should not become a reality. There is no deadline. There is no pressure that you have to complete this task in a given time frame. 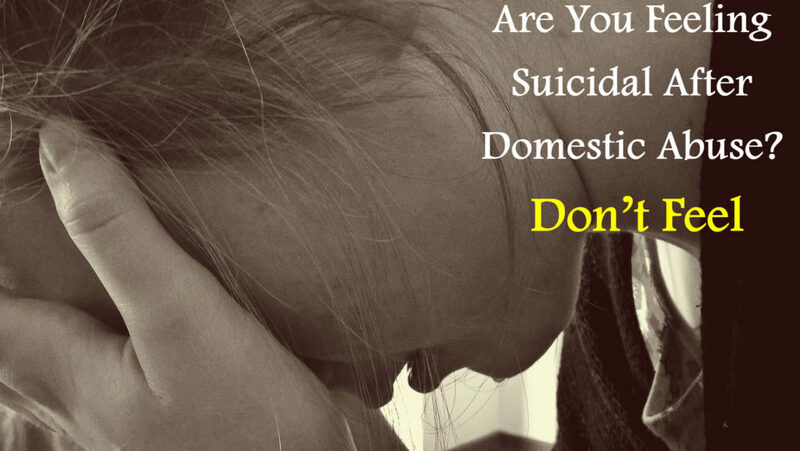 Seek help from a non-profit organization – Instead of thinking of committing suicide or any other such act, approach a non-profit organization that supports domestic abuse victims. At Women Rising Above Abuse, we specialize in empowering, strengthening and uplifting women who have suffered abuse. At the same time, we provide tools and connect women and girls to the right people for the best personal outcome. We provide a safe place for women and girls to gather and push forward. Avoid drugs and alcohol consumption – If you happen to consume drugs and alcohol, chances are: suicidal thoughts can become even stronger. Stay away from non-prescribed drugs when you are thinking about suicide. Don’t lose hope, instead get over it – You’re not the only one suffering. Step outside from your comfort zone and realize that there are many who are suffering still living the best of their life. You have got life for once, what you make out of it is your sole responsibility. Don’t lose hope. Be positive and look for positive in each and every situation no matter how isolated and lonely you are currently experiencing. Give yourself time and realize your value and worth. If still, you think that things are not coming on track, we are there to support you during this difficult time. Reach out to Women Rising Above Abuse! Being an organization that supports domestic abuse victims, we listen to you with compassion and patience. We help women and girls overcome their past abuse and lead a life of independence.